True to its name, this convertible, lightweight stroller is designed to accept all Graco “Click Connect” infant car seats. 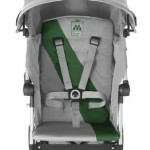 This means, if you have a Graco Click Connect infant car seat, you can simply place it into the LiteRider and you will hear an audible ‘click’ sound letting know it is secure and there you go, you can now wheel your baby around in a stroller! 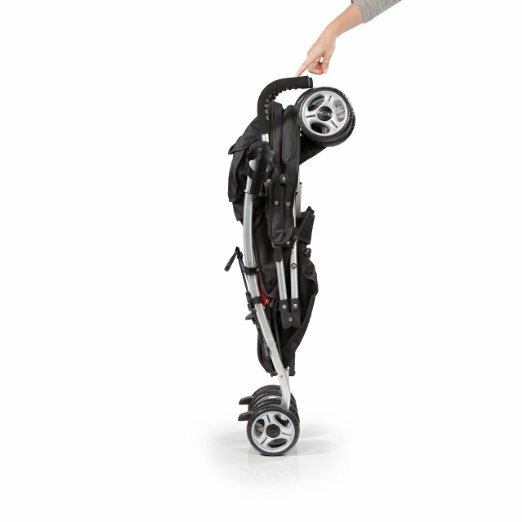 This travel feature, together with the lightweight yet sturdy design, as well as the one-hand fold and storage latch (which keep the stroller closed when unused) is what attracts active families who are always on the go as it is just so convenient and portable to bring it around. 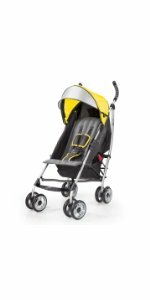 It is easy to find the right position for your baby to stroll comfortably due to the soft fabric and padded, two-level reclining seat. Parents love the removable child tray as it gives your baby his or her own tray, yet it is easily removable so that your baby can enter and exit the stroller easily. 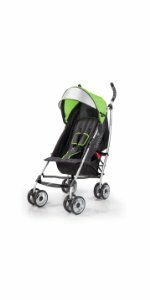 The two front-swivel wheels are lockable and the durable built-in suspension makes this stroller an easy manoeuvring piece anywhere. 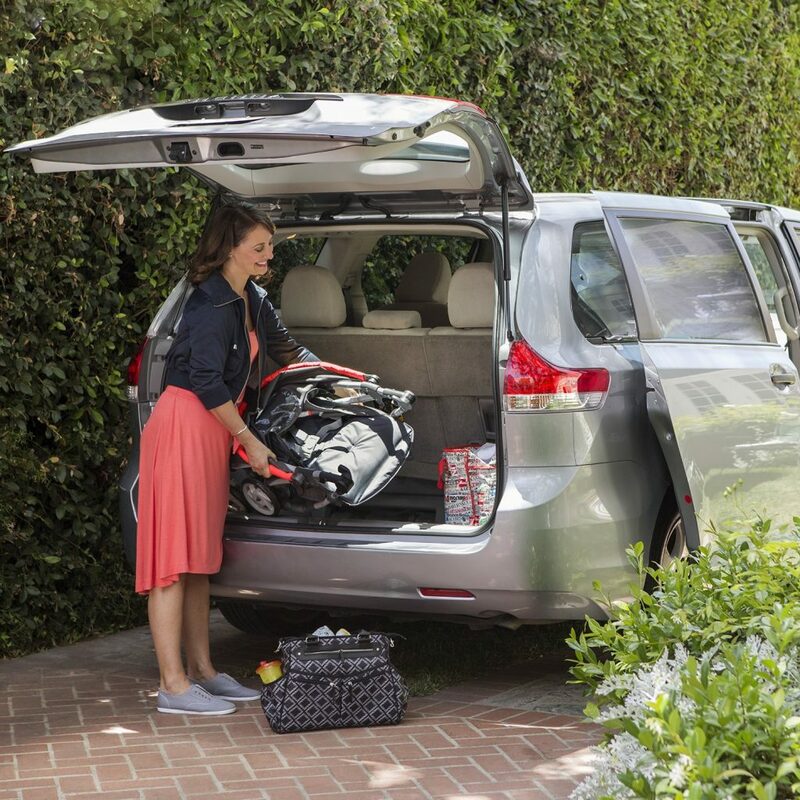 The LiteRider keeps parents’ comfort and convenience in mind too. 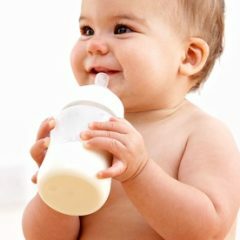 There are two deep cup holders for the parents’ tray and there is an extra-large, drop down storage basket so that you can reach for the item you need at all times without disturbing your child. Simply chuck in your water bottles, keys, diaper bags, shopping bags and purse into the storage basket and you will still be able to keep them all within arms’ reach. 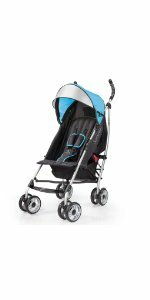 Boasting 50 years of design in the baby stroller market, the Maclaren Triumph is designed to look sporty and stylish and it comes in 5 colour options – black/charcoal, burnt orange/medieval blue, dove/jelly bean, medieval blue/silver and ocean/black. Note that different colours have different price tag so select carefully if price is an issue. 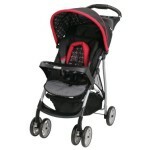 This compact and durable stroller is easy to steer, fold and carry. It comes fully assembled so there is no assembly required. You are also provided a wind-resistant raincover so that your baby can be protected from the elements at all times. 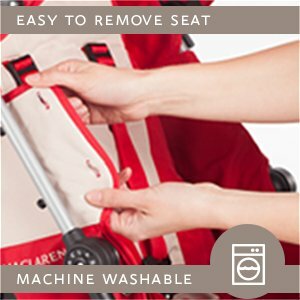 As with all Maclaren strollers, the seat is easily-removable and machine washable for easy cleaning. Simply chuck it into the washer and wash it in cold water on a delicate cycle and hang to dry. 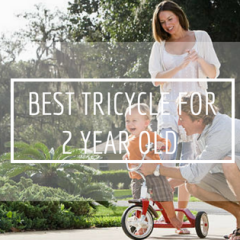 This is a rare yet valuable feature that most stroller brands fail to provide. 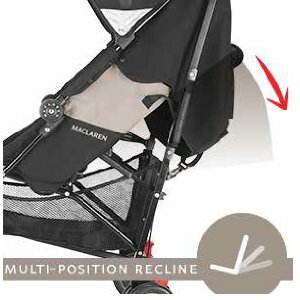 You can be assured that your baby is always seated in the most comfortable position with the Triumph’s easy-to-adjust multi-position recline mechanism with improved upright seat position. 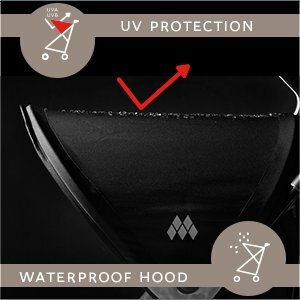 A UPF +50 canopy/hood comes with the Triumph and it is extra-large and waterproof which provide extra coverage for your child. 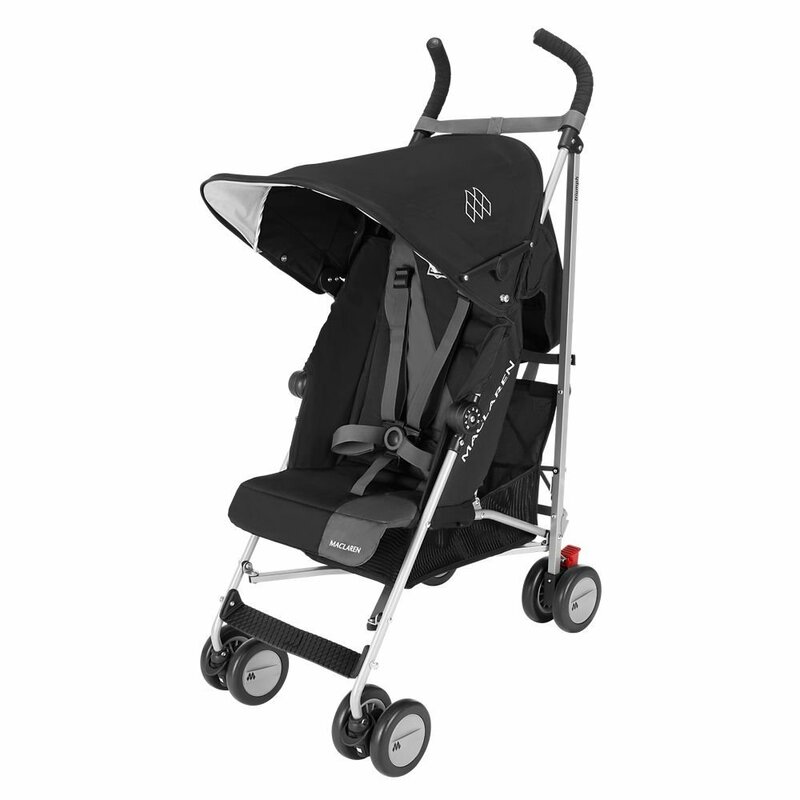 The round design of the hood allows for compact folding so that you can easily put it on or remove it from the stroller. The oversize shopping basket (915 cubic inches) is one of the largest in its class so if storage is important to you, the Triumph is definitely a good choice to consider. 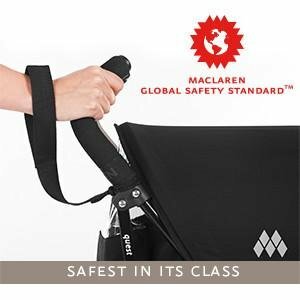 Maclaren prides itself in building the Maclaren Global Safety Standards, which are a set of highly-engineered security elements that meets the highest safety standards anywhere in the world, into each and every Maclaren stroller. It also provides lifetime warranty so remember to register with Maclaren online within 60 days of purchase to receive the benefits of their Sovereign Lifetime Warranty. 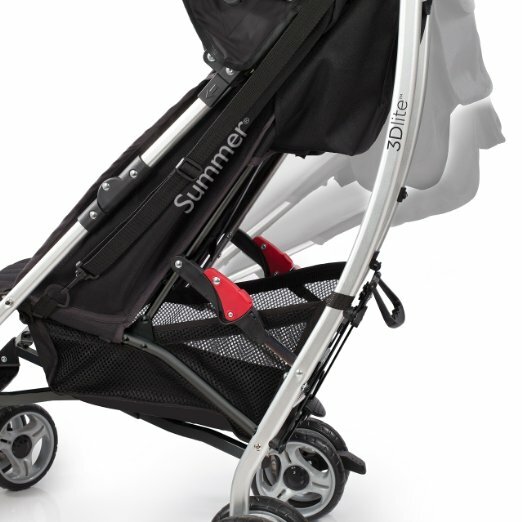 Available in 6 different colours, the Summer Infant 3D Lite Convenience Stroller is one of the lightest (12 pounds) and most feature rich convenience strollers on the market. 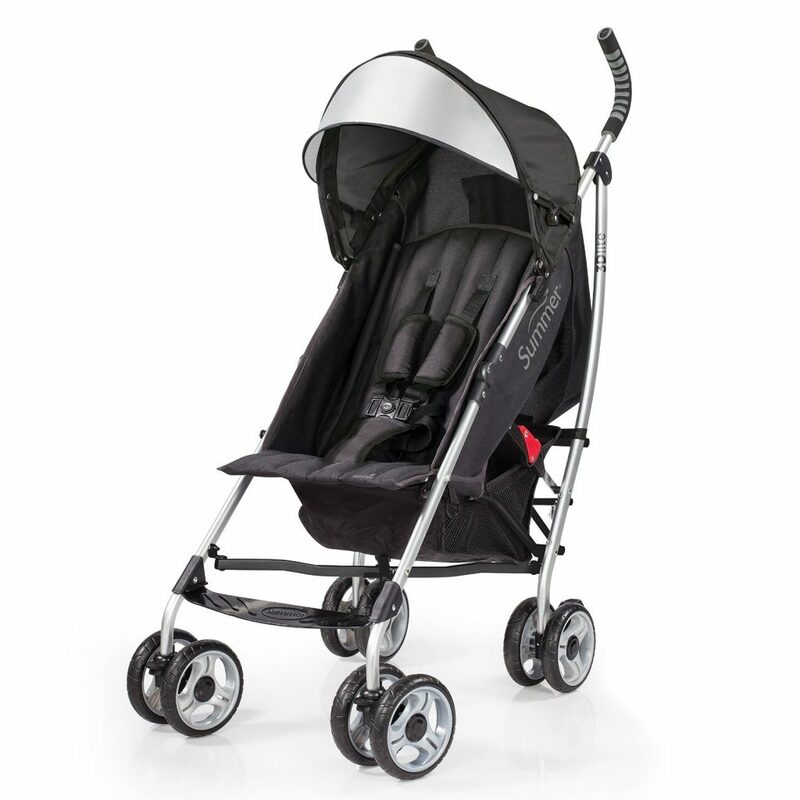 With two anti-shock front wheels and two lockable rear wheels, this stroller is easy to manoeuvre on any ground. It has a new and improved easy to fold frame which features a carry strap, so you can be on-the-go or stow and go with ease. 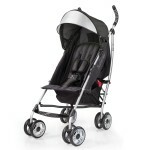 The canopy that comes with the stroller is adjustable and removable. 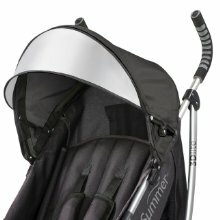 There is also a flip out sun visor so that on extra sunny days, you can pop the visor out to protect your baby from up to 99.9 percent from sun’s harmful rays. 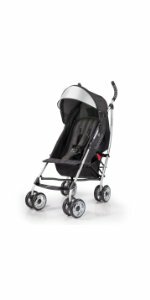 The seat area is large and unlike the traditional ‘X’ frame stroller, the 3D Lite has an open design and the seat is reclinable to almost flat which is ideal for naps or diaper changes. 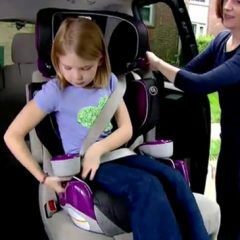 The 5-point safety harness can be easily adjusted to 3 height positions so it can accommodate to your baby’s growth. Just buy an additional padding and readjust the height position when your baby becomes bigger and he will always have a comfortable ride in the 3D Lite. As it features an auto-lock and a carry strap, you can easily carry this stroller on subways or through the airport. The extra-large storage basket at the bottom of the stroller is ideal for carrying over-sized diaper bags and purses, and the rear storage pocket is perfect for keys and cell phones. 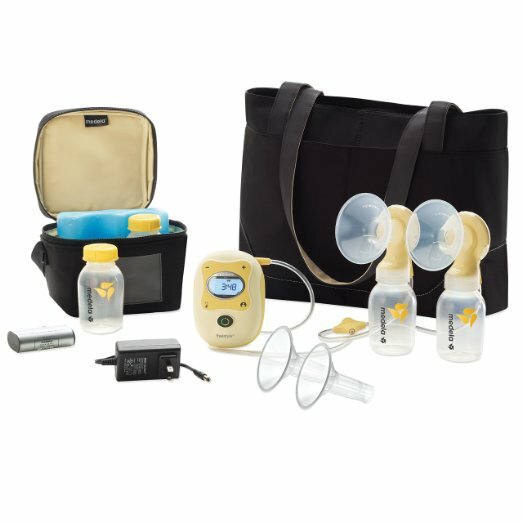 With the included cup holder, there is always place for the baby bottle or your cup of coffee.